REVIEW (GRADE: D+) A rare double-misfire by director Clint Eastwood and star Matt Damon, Hereafter opens with one of the most gripping scenes I've ever witnessed: a tsunami sweeps through a resort town, with buildings, cars, and people swept up in a massive tidal wave. Initially similar to scenes in various disaster films, Eastwood shows his talent as a director when he scales down from massive special-effects-driven destruction and follows one person as she struggles for life against the current and debris. It's a harrowing, realistic scene, effectively opening with a bang a film that sadly whimpers along for the rest of its running time. 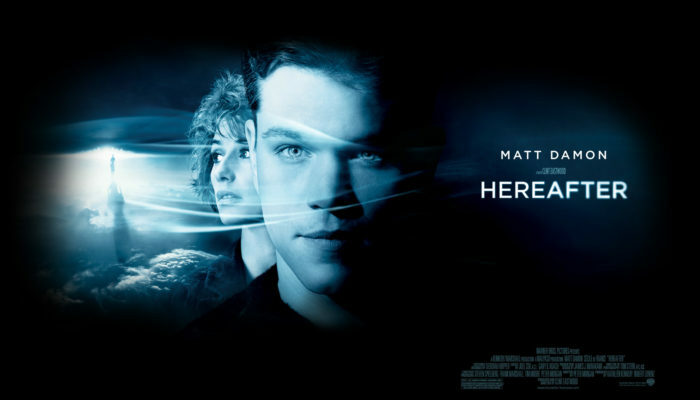 Essentially a feature-length promo for psychic mediums with a few blatantly anti-Christian overtones, Hereafter is flatly-written, sluggishly-paced, and dramatically unsatisfying. To their credit, the actors do the best they can with the meandering script, and a few scenes are emotionally effective, but the end result is underwhelming and unfocused. CONTENT OVERVIEW: Hereafter is rated PG-13. It contains intense, but not graphic, depictions of a natural disaster and a terrorist attack. There is a moderate amount of foul language, including one f-word. It is implied that a man and a woman are having a sexual relationship, and both are briefly scene in their underwear in a hotel room (it is morning and they are waking up/getting dressed). MESSAGES TO DISCUSS: Do family relationships continue beyond the grave? For a better film about communing with dead relatives, I highly recommend Frequency.